Mmmmm. Spaghetti and Meatballs. I’m Italian. Have I ever mentioned that on this blog? Probably not, but it’s true, I am. I am also a vegan gluten-free Italian. I’m pretty sure my ancestors are rolling over in their graves. This recipe totally scratches an itch. It is hearty, protein-y, simple, and delicious. I used Beyond Meat’s Beef Crumbles to make the meatballs, and that stuff is pretty much blows my mind every time I eat it. It also happens to be soy free (Pea Protein for the win!) Which is a nice little added bonus. Put your ground flax and warm water in a cup or small bowl and set aside. This is the binder for your meatballs. Once the tomato releases some of its juice and the contents start to bubble a bit, turn heat to low. stir in basil, salt, pepper and oregano, and let simmer while you cook your meat balls. You can either leave them raw, or lightly steam for 2-3 minutes. Assemble! Put zucchini noodles on plate, add sauce to the top and top with meatballs. This looks fabulous! I love finding vegan “meat” products that are soy-free too! It is so hard to come by! I KNOW, right?! Pea Protein, YES! I love the colors! It’s so pretty that I want to make it right now! 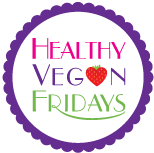 Thanks for sharing this on Healthy Vegan Fridays so I could see all these pretty colors. Don’t forget to link back! Mmmm looks so good! I haven’t tried the beyond meat beef-free crumble yet, I’ll have to check it out. Can you simmer the meatballsnin the sauce or will they fall apart. Thanks. Looks super yummy..